Fishing hats are an important part of your equipment. They protect you from the sun, and with the rise in skin cancer, you can't be too careful. Brims help cut the glare from the sun shining on the water, too, helping to protect your eyes. 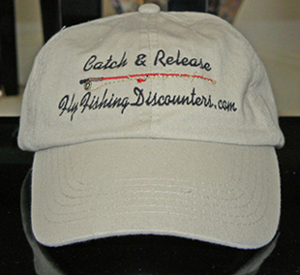 Your hat is one of your most important pieces of gear when you are spending the day fishing. 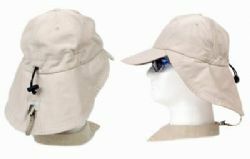 Fishing hats made for anglers range in all styles and prices Ideally, you want to choose a hat that offers you some protection from UVA and UVB rays. You want it to allow ventilation through the top of the hat to keep you from overheating. The brim should be broad enough to help protect your eyes from glare. For the budget-minded, you can find a serviceable hat for under $10. Baseball caps will work fine. They offer a brim for shading of your eyes and there are numerous styles to choose from. For around $20, you can get a special baseball style cap with two LED lights mounted in the brim to help you after dusk. You could also go for something completely different. In this price range you can find a hat that looks more like a hood. It features an opening for your eyes and a ventilated breathing panel. It protects your entire head from the sun, but does not have a brim. You'll be very memorable in this sun hood. If you prefer something a little more traditional, you can choose a straw fedora style hat made of twisted seagrass. The underbrim is covered with special cloth to increase sun protection. Another choice is a cap that looks like a baseball cap with earflaps. The flaps fold down when needed, along with a neck cape to protect your nape from the sun. Made of polyester, it features a headband to wick away moisture and allows good ventilation through an open-weave mesh. For under $40, you can choose from several more styles. There are several versions of the New Zealand style fedoras made of canvas or mesh to keep you cool and breezy on the river. With all the style and flair of a well-made fedora, these fishing hats can be easily rolled up and stored away when they are not needed. The brim is solid and protects you from the sun on the mesh variety, while the solid canvas style offers sun protection all over. A leather cinch strap is attached to keep your hat secure during windy weather. Another similar style offers a wide wired brim and top with mesh sides. A straw version is also available that offers good air flow through the crown with a more solid woven brim and top. This is a stylish hat that will look as good in town as on the river. If price is no object, there are a few high end hats you may wish to check out. This is where you find high quality hat with lifetime guarantees. These hats will repel rain and sun, won't shrink and contain a sweatband to wick away perspiration. Brass grommets allow air to flow through. 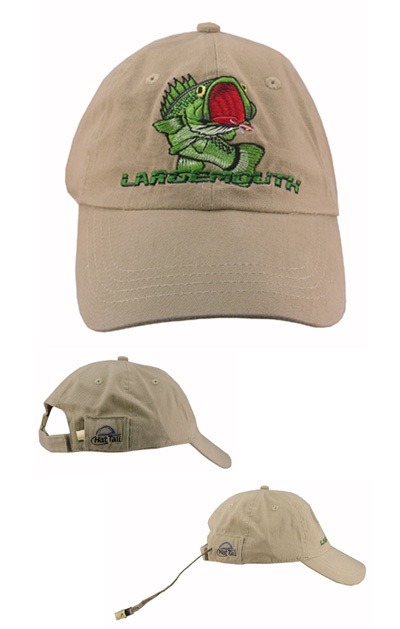 The fabric of the hat has a UPF rating of 50+ to protect you from the sun. Small Velcro tabs are located inside at the temples to help keep your sunglasses in place. A small hidden pocket in the crown can hold credit card, keys, your fishing license or other important things. These waterproof and mildew-resistant hats come in a fedora-like style and one with a side snap so it can be worn Australian style. Another style also offers mesh panels in the top to increase ventilation and a neck cape to protect you from the sun and rain. As you can see, a fishing hat is an important part of your fishing gear. In order to enjoy your time on the water, you need to protect yourself from the wind, sun and weather.